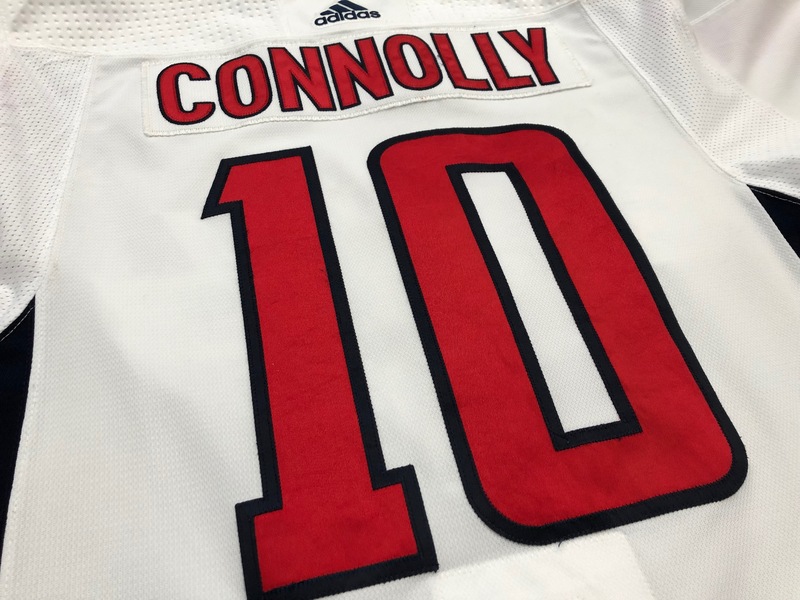 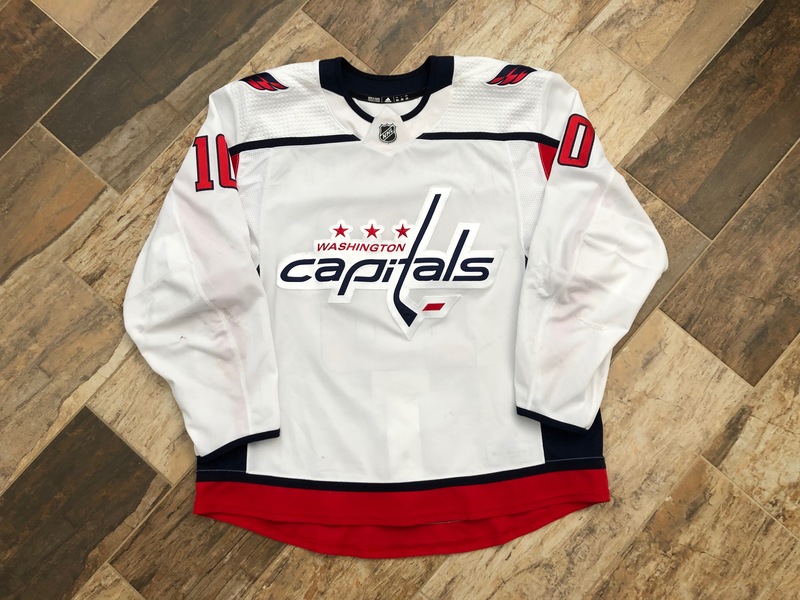 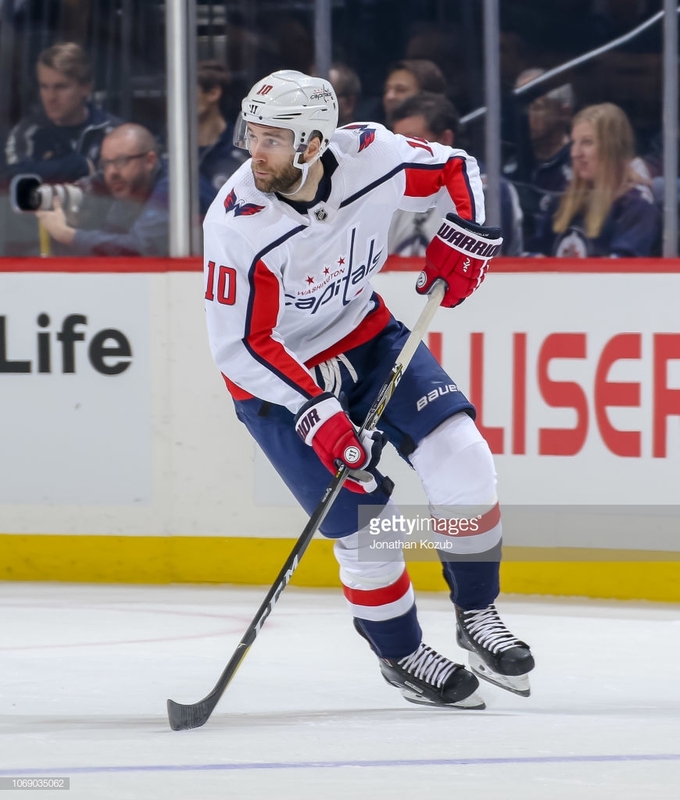 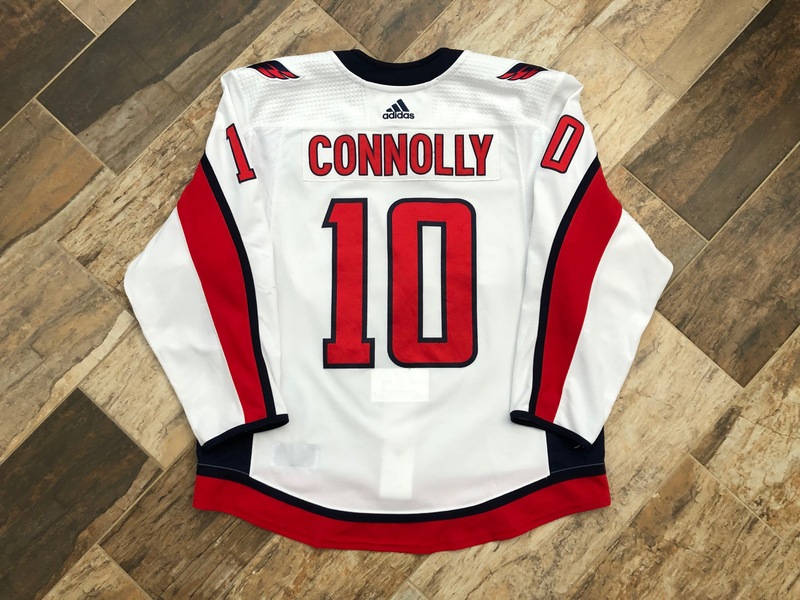 This jersey shows awesome wear from the start of what was Brett Connolly’s best season to date. 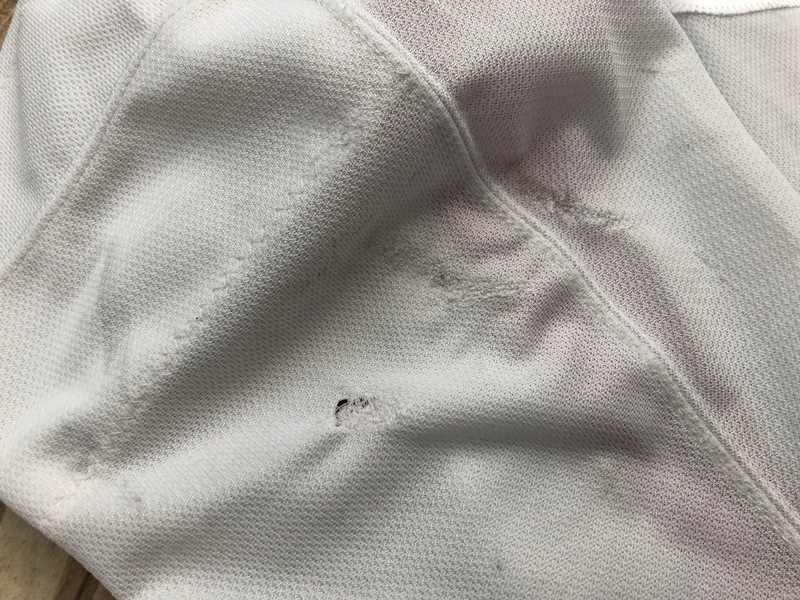 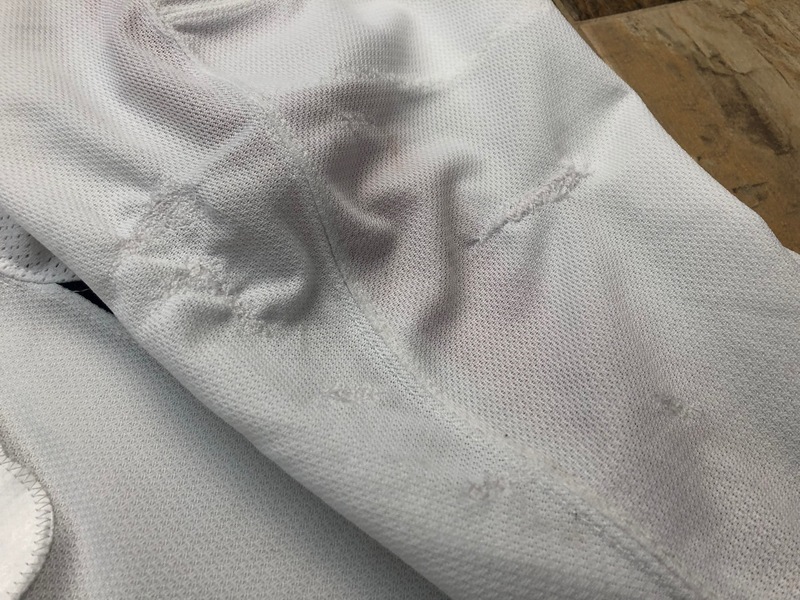 There are great repairs on the arms, burns and marks throughout, as well as a small unrepaired hole on the arm. 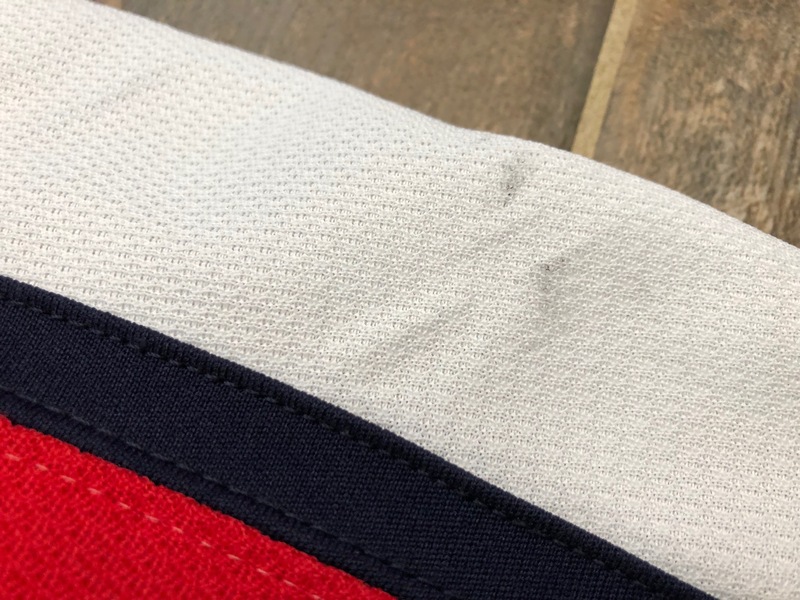 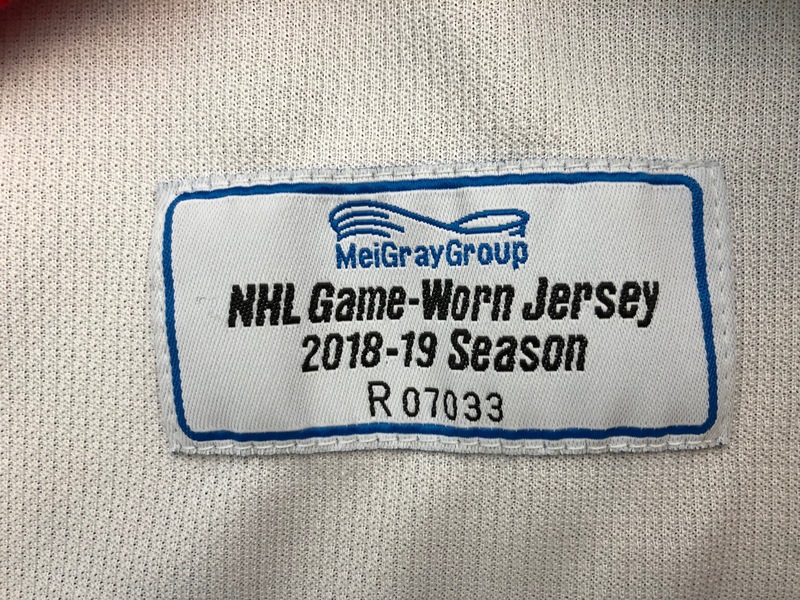 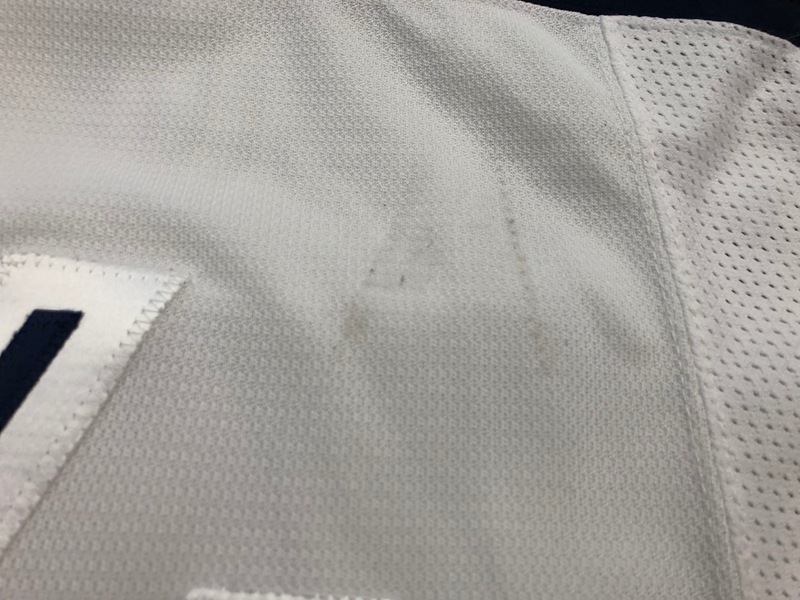 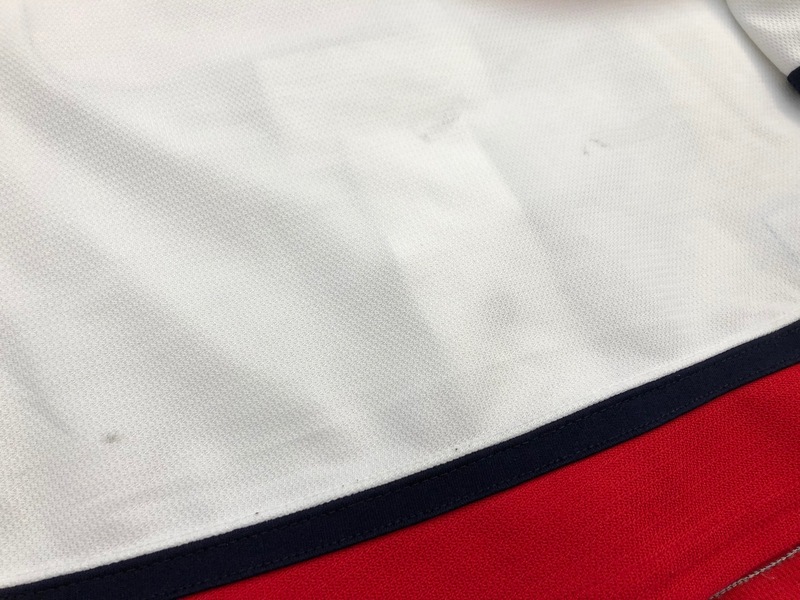 This jersey has had the assistant captain A removed from the chest.